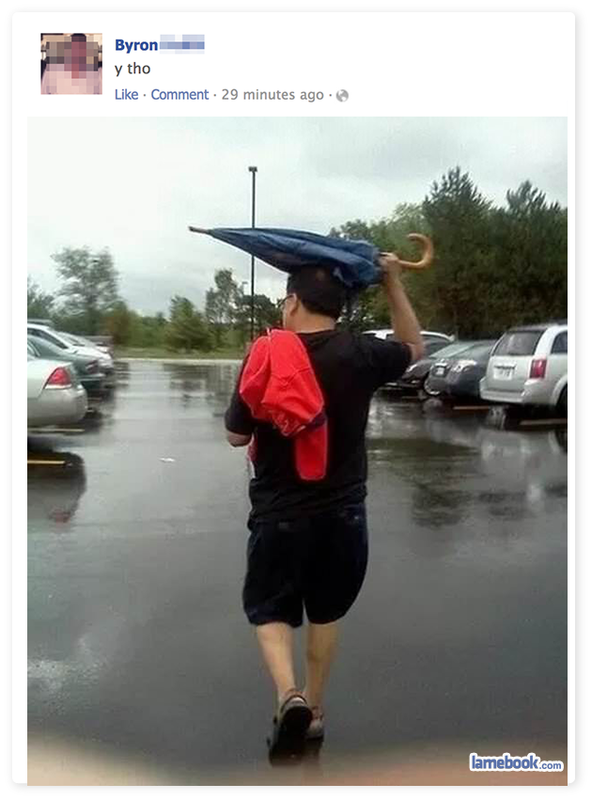 Because the umbrella is broken so it won’t open, but that doesn’t mean he wants rain falling in his face. If you say so. You should work on your calves.